Colorado Gov. John Hickenlooper vetoed legislation Monday that would have pioneered the concept of cannabis tasting rooms, dealing a blow to marijuana businesses that had pushed the measure. Similar efforts also have stalled in other states to allow marijuana retailers to set aside areas for consumers to try out products, much like a brewery taproom. Hickenlooper also said he was concerned that allowing the tasting rooms could lead to an increased number of impaired drivers on the road. And he accepted opponent arguments that the rooms pose “significant health risks” by allowing vaping in confined areas. The Marijuana Policy Project recently said Colorado would have been the first state to explicitly allow the tasting rooms, which the group views as a way to control and even reduce public consumption. 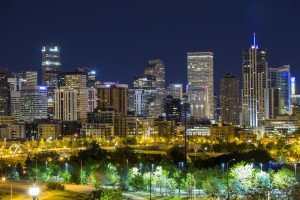 The Colorado legislation would have authorized a currently licensed recreational marijuana store to establish a separate tasting room “located in the same local jurisdiction” as the dispensary. The tasting room could have sold flower, marijuana-infused products and concentrates, but smoking would not have been allowed. Hickenlooper still is considering whether to sign legislation that would allow publicly traded companies to invest in or hold a marijuana license in Colorado, Press Secretary Jacque Montgomery told Marijuana Business Daily on Monday.